A Monday is a good day to kickstart the photo blog into life! My newly acquired iPhone was the camera for this shot and the Hipstamatic Application. 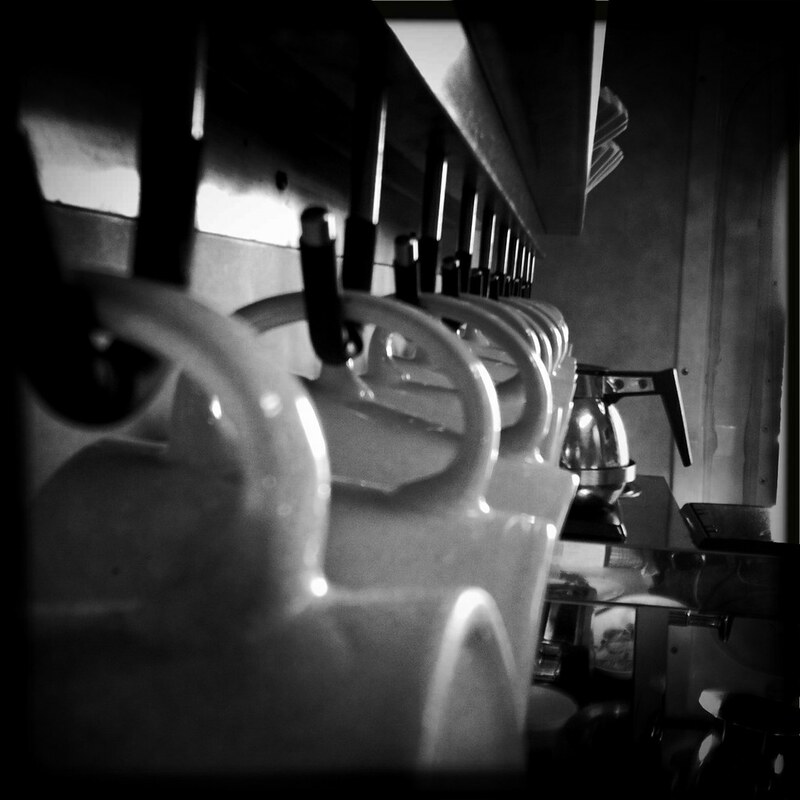 mugs hanging around in the pantry waiting for the coffee to brew….